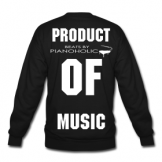 Pianoholic is a producer from Berlin, Germany, known for his authentic piano sound in his instrumentals. Bitchass Pianoholic 91 04:18 29x Faved Buy! Rough beat with guitars. Drake Do not disturb instrumental beat for mixtapes, Cds,Youtube videos or live shows. Get the best Drake instrumental beats right here and make your freestyles better then ever before. Blood diamonds Pianoholic 77 00:00 53x Faved Buy! Drake type beat, atmospheric, dark pianos and a ruff drum set. My story Pianoholic 88 03:46 47x Faved Buy! Atmospheric Drake instrumental type beat with mellow piano and strong drums.